1 How to activate GP 6GB 148 TK Offer? GP Internet Offer 2019 – GP 6GB 148 TK Offer! Hello Dear, welcome to GP 6GB Internet 148 TK Offer activation code, Validity, Uses Terms & Conditions Content. At present, every telecommunication company have some big internet offer in cheap price like as Robi 45GB 349 TK and Teletalk 30GB 449 TK or Banglalink 30GB 298 TK Offer. So, the Grameenphone company lunches a big internet offer in a cheap price, whose name is GP 148 Taka 6GB Internet Offer. 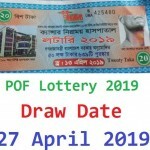 All the Grameenphone customers are eligible to enjoy GP 6 GB Internet 148 Taka Offer. Under this offer, customers get 6GB (3GB Regular + 3GB 4G) Internet at only 148 TK with 7 days validity. 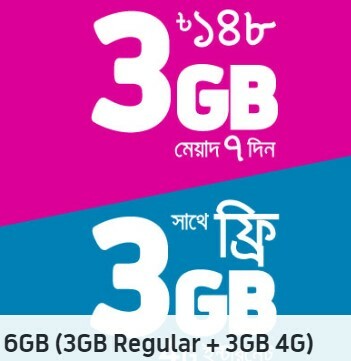 If you are a Grameenphone customers and want to activate the GP 6 GB 148 TK Offer? First, check the offer full details information from below content. How to activate GP 6GB 148 TK Offer? This is a very system to activate the GP 148 Taka 6GB internet offer. Just, go to the device dial option and Dial USSD code *121*3262#. The validity of GP 6 GB Data 148 Taka Offer, 7 days and validity starts from offer activation days. VAT + SD + SC is included in 148 Taka. Unused data volume will be carried forward if the customer purchases the same campaign offer 6 GB (3GB Regular Data + 3GB 4G data only) within the active validity period. Thanks for staying with us a long time and visiting GP 6GB Internet 148 TK Offer activation code, Validity, Uses Terms & Conditions Content. If you have any question about the GP 6GB 148TK Offer? Just comment here, we reply as soon as possible.